Documented by the official acts and statements of the authorities who waged the War. Lincoln and Congress declared in all official acts and statements the United States invaded the Confederate States only to collect a 40% Federal import tax, by changing the U.S., from a voluntary Union into a compulsory Union (needed to collect this tax); and not to abolish slavery. No official act by Congress or Lincoln ever proclaimed a war to abolish slavery, not even the Emancipation Proclamation claimed such. March 2, 1861 the U.S. Congress, by a two-thirds vote, passed the above Corwin Amendment, which guaranteed permanent slavery in the U.S., after most Southern States had withdrawn from the (then) voluntary Union. It was ratified by three Northern States: Ohio, Maryland and Illinois but by none of the Southern States. On the very same day, Congress also passed the Morrill Tariff Act, (U.S. Statutes At Large 36th Congress, Session 2, Chapter 68), which raised the Federal sales tax on imports from an average 20% to an average 40%. This then allowed Northern manufacturers to raise their prices 40% higher than prices were for European imports with no tariff. Under the Morrill Tariff, pioneer farmers buying essentials, such as, a plow, axe, shovel, skillet, stove, etc… paid 40% Federal sales tax on the item, if imported from Europe, or 40% more in price, if bought from Northern manufacturers. Southerners paid most of these taxes, yet represented only one-third (1/3) of the U.S. population. By passing the Morrill Tariff Act and Corwin Amendment together, the U.S. Congress offered the seceding States, this trade: Return to the Union and pay 40% tariffs and be guaranteed permanent slavery. 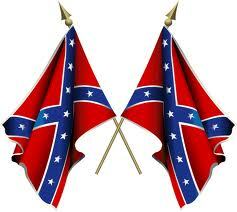 The Confederate States refused the offer to return and on May 21, 1861 enacted an average 10% import tax. "The British parliament undertook to tax the Colonies, to promote British interests. Between taxation without any representation, and taxation without a representation adequate to protection, there was no difference." "And so with the Southern States towards the Northern States, in the vital matter of taxation, they are in a minority in Congress." "The material prosperity of the North was greatly dependent on the Federal Government; that of the South not at all. In the first years of the Republic the navigating, commercial and manufacturing interests of the North (i.e. Wall Street industries) began to seek profit and aggrandizement at the expense of the agricultural interests." "After having enjoyed (price) protection (by high tariffs) to the extent of from 15 to 200 per cent upon their entire business for above thirty years, the (low tariff) act of 1846 was passed. It avoided sudden change, but the principle was settled, and free trade, low duties (tariffs), and economy in public expenditures was the verdict of the American people." By financing the abolition movement, Wall Street gained the power needed to offer the trade (mentioned above) on March 2, 1861: guaranteed permanent slavery in the U.S., in exchange for the South paying the new 40% Federal import tax. April 8, 1861 Lincoln started the war by a surprise attack on Charleston Harbor with a fleet of U.S. warships led by the USS Harriet Lane to occupy Fort Sumter, a Federal tax collection fort in the territorial waters of South Carolina. "These preparations commenced in secrecy and on the 5th, 6th, and 7th of April transports and vessels of war with troops, munitions, and military supplies sailed from Northern ports bound southward." "That this maneuver (Lincoln's surprise attack) failed in its purpose was not the fault of those who contrived it. A heavy tempest delayed the arrival of the expedition." "I directed a proposal to be made to the commander of Fort Sumter that we would abstain from directing our fire on Fort Sumter if he would promise not to open fire on our forces unless first attacked." "This proposal was refused and the conclusion was reached that the design of the United States was to place the besieging (Confederate) force at Charleston between the simultaneous fire of the (U.S.) fleet and the fort." "Whereas an insurrection against the Government of the United States has broken out and the laws of the United States for the collection of the revenue cannot be effectually executed therein: Now, therefore, I have further deemed it advisable to set on foot a blockade of the ports within the States aforesaid." (Paragraphs 1,4) Lincoln never mentioned slavery in his two war Proclamations. The Southern States were more right to withdraw from the voluntary Union called the United States than the 13 Colonies were to declare independence from Great Britain in 1776, because Britain formed the 13 Colonies, whereas, the 13 independent States formed the United States. "During the war waged against Great Britain by her colonies on this continent a common danger impelled them to a close alliance and to the formation of a Confederation (in Article I, named ‘The United States of America')." "The several States made explicit declaration in a distinct Article (II) - that ‘each State retains its Sovereignty, freedom, and independence, and every power, jurisdiction and right which is not by this Confederation expressly delegated to the United States in Congress assembled.'" "The war of the Revolution was successfully waged, and resulted in the Treaty of Peace with Great Britain in 1783, by the terms of which the several States were each by name recognized to be independent (Article I)." "The States endeavored in every possible form to exclude the idea that the separate and independent sovereignty of each State was merged into one common government and nation, and to impress in the Constitution its true character - that of a compact between independent States." "An organization (Union) created by the States to secure the blessings of liberty and independence against foreign aggression, has been gradually perverted into a machine for their (the States) control." It is impossible for secession, for any reason or no reason, by the States that created a voluntary Union, to be a cause of war. If the Southern States could not withdraw in peace, then the U.S. can not secede from the United Nations in peace or France from the European Union, examples of voluntary unions, as once was the U.S.
Lincoln declared three times (above), the only cause of the war was "to collect the revenue" from Southerners by creating a new, compulsory Union. Secession and war are two very different events. No official act by Congress or Lincoln ever proclaimed a war to abolish slavery, not even the Emancipation Proclamation; and, without such an official act, the war over slavery teaching remains completely false, offensive and divisive hate speech. Unless the North was fighting to end slavery, it was impossible for the South to be fighting to maintain slavery. Even in his Emancipation Proclamation, Lincoln did not claim abolishing slavery was an object of his war. His Proclamation (Paragraph 3) offered Southern States three months to return to the Union (pay taxes) and keep their slaves. None did. January 1, 1863, in his final Emancipation Proclamation, Lincoln affirmed his only reason for issuing, was: "as a fit and necessary war measure for suppressing said rebellion" (Paragraph 4), by attempting to incite slave insurrections (that never occurred), as Britain did in 1776. The Emancipation Proclamation was an executive order only, issued half-way through the War, never voted on by Congress, and exempted a million slaves under Lincoln's control from being freed, including General Grant's four slaves. The Northern-controlled Congress refused to pass an Amendment abolishing slavery until January 31, 1865, three months before Appomattox. The only Amendment passed and before the States for ratification the entire war was their Corwin Amendment, which guaranteed permanent slavery in the U.S.
Only 5 of the 13 Confederate States mentioned slavery issues in their Secession Ordinances, i.e., the return of fugitive slaves, slavery in the U.S. territories and Federal abolition. By leaving the voluntary Union, these States abandoned all claims regarding the first two and the issue of Federal abolition was entirely eliminated as a cause of war by Lincoln's First Inaugural Address and the Corwin Amendment.